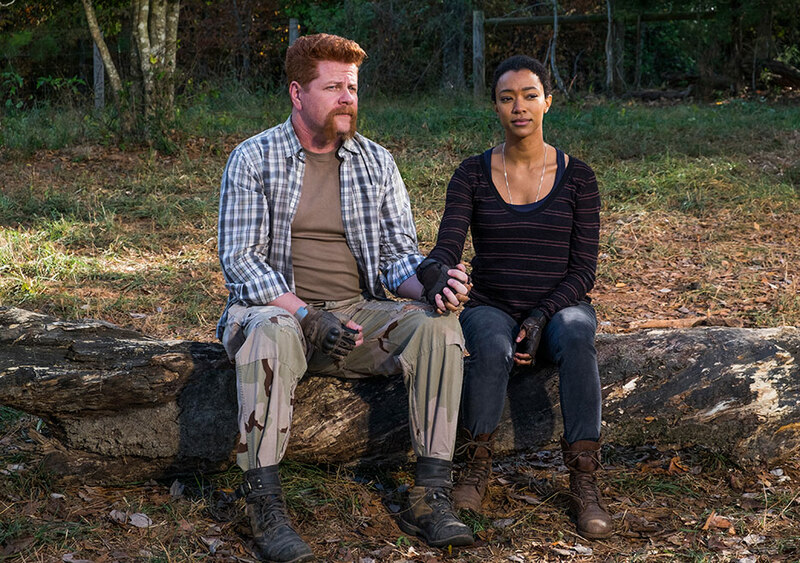 I am curious if anyone really felt for Sasha and her relationship with Abraham. Given how the seventh season finale of The Walking Dead wanted to spend a good portion of time on Sasha, I would hope there are people out there who legitimately care. That seems to be important, as “The First Day of the Rest of Your Life” feels like an awfully long episode that only has a few significant things happen. Sure, the final third is packed with tense moments and action, but what about that very slow first forty minutes? Given how the previous two episodes really killed the momentum of a pretty solid back half of this season, I guess it’s not too unexpected, but this is a season finale. That said, not all wars get off to a great start. The idea of this episode is to deliver on the big fight back that Rick has been putting together. We’ve spent a whole half season building up to what this episode is supposed to supply. Sadly, the results are only so-so. There are interesting things that happen as far as how it was assembled and what we see ultimately transpire, but this episode really wasn’t all that stunning as far as a showing the series make some sort of big turn. It’s not as if it needed a higher body count. Given how the series entered a phase where killing off major characters (much like the comics) was a good way to hold people’s attention, it’s actually nice that a step back from this approach was taken in an effort to increase drawing power from other concepts. Really, it’s more about how the episode can only get so much out of long, drawn-out plans that result in a brief skirmish. It ends up making one wonder if all that time was really needed, if the results did not amount to much. Part of my constant frustration around lesser episodes usually has to do with Rick being a terrible or terribly boring leader. He can speak in his gruff, bearded voice, but it only goes so far if I see the show twisting itself around to make sure we are supposed to agree with his methods, no questions asked. This week tries its best to show us a Rick who can properly lead, but he had no other plan aside from a truck explosion, which was especially unhelpful given that he had no backup plan. Of course, Rick isn’t the only leader with problems. Negan has been the huge evil presence on this season of The Walking Dead and while Jeffrey Dean Morgan has done all he can, I can’t help but call out his questionable plans. I can only chalk so much up to “his ego made him do it” and that means thinking about his overall goals here. This is supposed to be a guy who is ruthless as well as pragmatic, as that is how you create a functioning community when you work with extremes. There is no reason he should be leaving Rick alive and yet he does all he can to let this guy live. 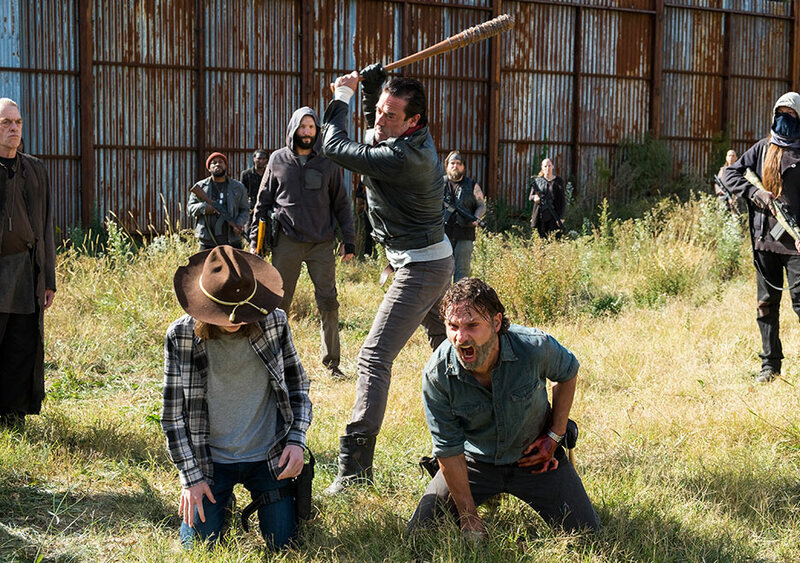 One can only go so far in teaching lessons and if Negan decided to kill all the men formerly associated with the women of Oceanside, he should have no problem killing off Rick at this point. And yet, he doesn’t. Negan has the entire community of Alexandria at gunpoint and he still manages to lose the battle. That ties into one of the stronger ideas of this half season. While not initially successful in banding everyone together (remember, Rick is not a great leader), it managed to finally pay off this week. 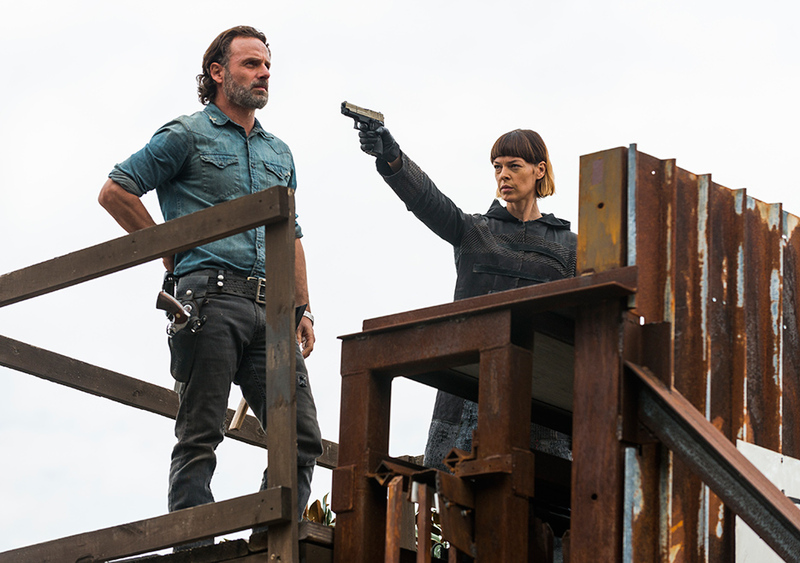 The Hilltop folk (led by Maggie) and the Kingdom’s people (led by Ezekiel) came in at just the right time, leading to a giant action sequence that was poorly shot, but still effective enough to display a level of chaos. How there were so few bodies in an episode full of automatic weapons firing, I’m not sure, but at least we got cool shots of Daryl, Carol, Morgan and even Carl being a bunch of badasses. Is that enough though? It takes me back to Sasha, who made up a large chunk of this episode. While I’m not enamored by her character or the briefly seen romance between her and Abraham, the editing structure at least provided a neat mystery. Cutting between her in what we eventually learn is a coffin, a vision of her and Abraham together, a vision of her and Maggie sitting together and a flashback to her time with Negan and Eugene allows for a solid coda. The character has been around since season 3, so her inevitable end was given plenty of respect. It still seemed like too much though for an episode that stretches out its runtime, keeping much of this week’s supposed tension on hold. “The First Day of the Rest of Your Life” has flourishes of good stuff throughout. The Sasha mystery component works, the Scavenger twist was unexpected and the last minute saves provided a fun feeling. Even Maggie’s final narration was touching in its own way. However, it seems like the end to a season that started off fairly controversially should have been more than just sufficient. The pieces were all here and while it doesn’t hold back and say “gotcha” like last year’s big misstep, it felt lacking. 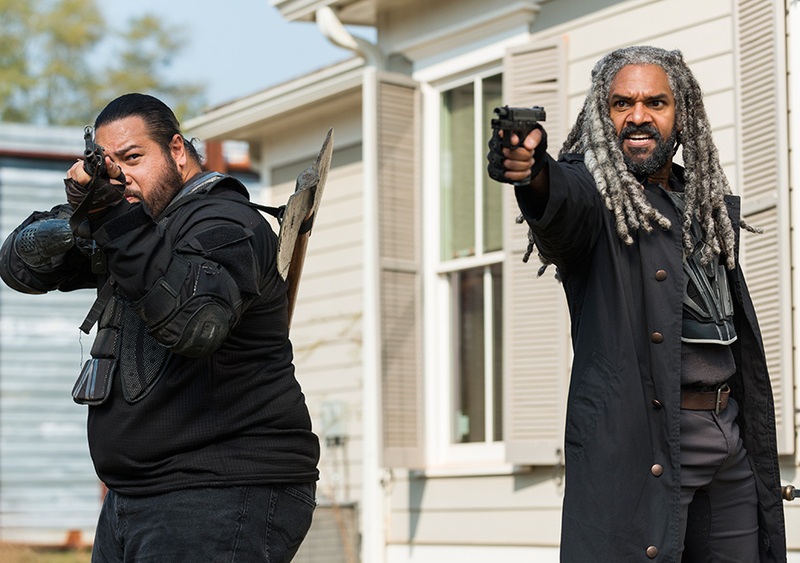 Next season should open things up a bit, since all bets are off between Negan and his main subjects, but I wish that transition had gone a bit smoother, with more fearful moments along the way. 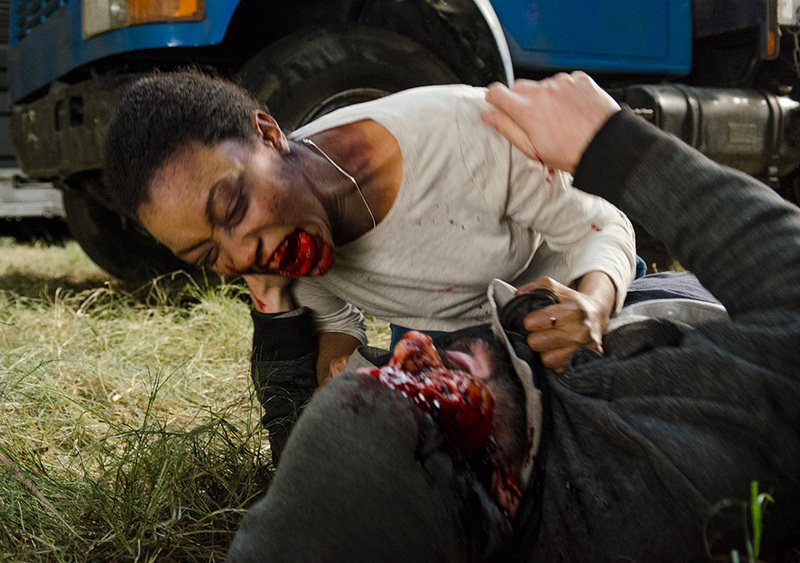 Zombie Kill of the Week: Zombie Sasha eating that guy’s face was a good one. Negan has everyone at gunpoint and still though Sasha in a coffin was some sort of useful bargaining chip? Like what was the plan with that? Nice to see Abraham again, brains still intact. Dwight lives to see another day as the possible mole in Negan’s operation. Humorous sighting: the Scavengers who arrived in Alexandria on bicycles. I’m actually glad they didn’t kill Jadis, leader of the trash people, because the character is too strange to randomly shoot down in a mediocre episode. There really was some sloppy editing in these shoot out scenes. Just basic cuts made and other things that bugged me in terms of who was where. Still looking forward to seeing how far Eugene’s Dark Side routine goes. Money was spent to make sure those tiger attacks looked great. Another win for The Kingdom. It’s been a pleasure to cover yet another season of this series. 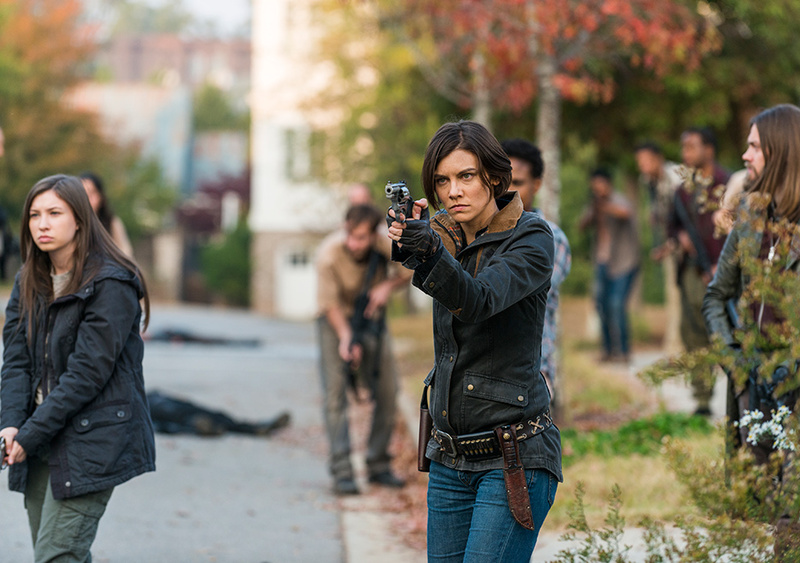 Thanks for reading and feel free to hear what myself and a few other fans of the show have to say about the series on the The Walking Dead TV Podcast.